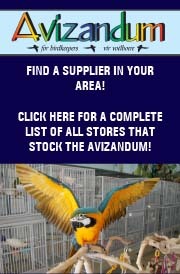 I have different coloured budgies. I can send you pictures if needed. 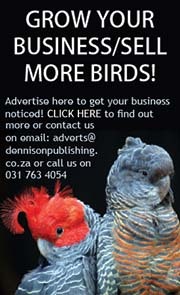 1-1 brpr of grey (male) and pearl (female) Cockatiels R600.00. 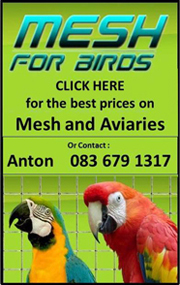 R100.00 elk of R400.00 vir al 5.
for bigger parrot breeding pairs. Contact me for photos or info. pêrel en cinnamon kokatiele R150.00 stuk. Whiteface, Cinnamon Whiteface, Cinnamon Pearl Whiteface R250.00 ea. 1-0 Whiteface Single Factor Dominant Silver (2018 S/S C/B) R1000.00 ea. 1-0 Pastelface Single Factor Dominant Silver R1200.00 ea. 0-2 Pearl Bronze Fallow (2018 C/B S/S) R2500.00 ea. 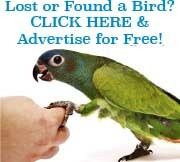 any of the above to Swap for other birds to the same value. Whatsapp me for more info and pics – Randfontein.